box braids, singles, any thing that "dangles" from my scalp with the help of extension hair is going to break it off. Hairstyles like cornrows, flat twists - any thing close to the scalp will keep all the hair on my head. i learned that i have "Greta Garbo" hair. Low manipulation to No manipulation.. I second that. Mine is either GHEing, under a wig, or in a ponytail all the time. 1. Dominican hair salons are not natural hair friendly. 2. Aint nothin wrong with a lil hair grease. 4. Protective styles are my best friend. If it aint broke dont try to fix it. My hair hates to be manipulated too often. Heat thins my hair out when used to much. My hair likes all natural products. Go with your gut instinct when selecting products. 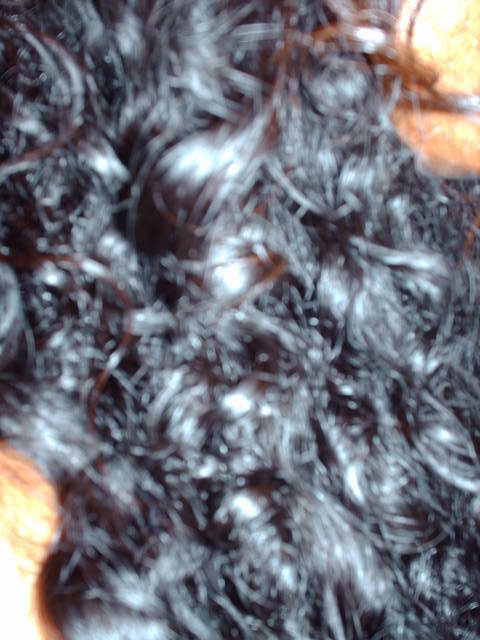 ceramide oils and silicons are a good thing for my hair. Drying shampoo and detergents are a bad thing for my hair. PS Did you know that if you put vinegar on the leaves of a plant it will kill the entire plant roots and all. Those who want to experiment with it on their hair can go right ahead, but I will abstain thank you. Late but just figuring out that cowashes are good. IDK why it took me so long to figure out only combing my hair when wet and plenty of conditioner. I was always told only to manipulate when dry. I think I will now have better retention. i'm learning that the LurkingKinds' suggestion of "inversion" is a keeper for me. I thought i was imagining things.. but i think the "inversion method" - which only takes 4mins. a day, truly works. That is awesome femme I'm glad it's working for you. I'm also a believer of inversions.